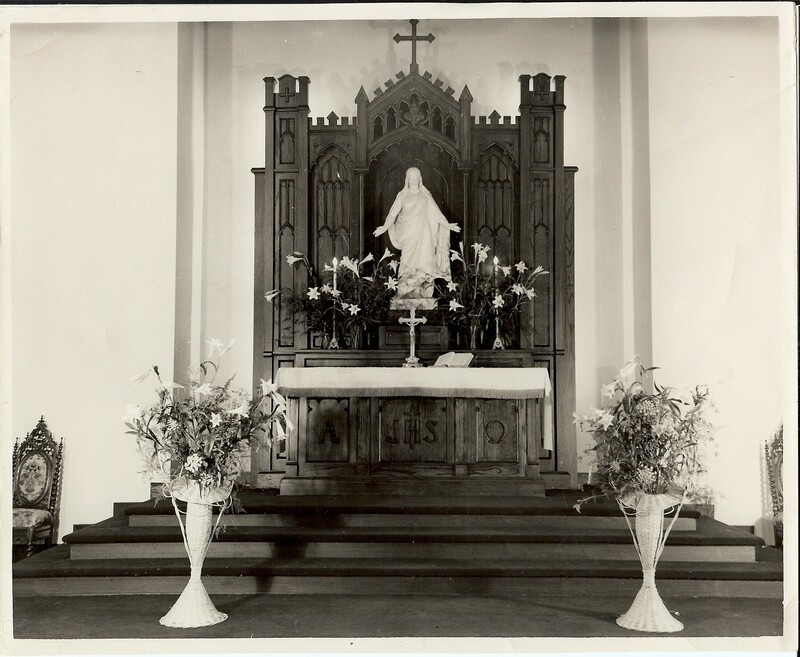 When Orlando was a small town, a group of mainly Midwestern people of German heritage were attracted here and gathered together with Pastor George Trapp to form Trinity Evangelical Lutheran Church in 1919. 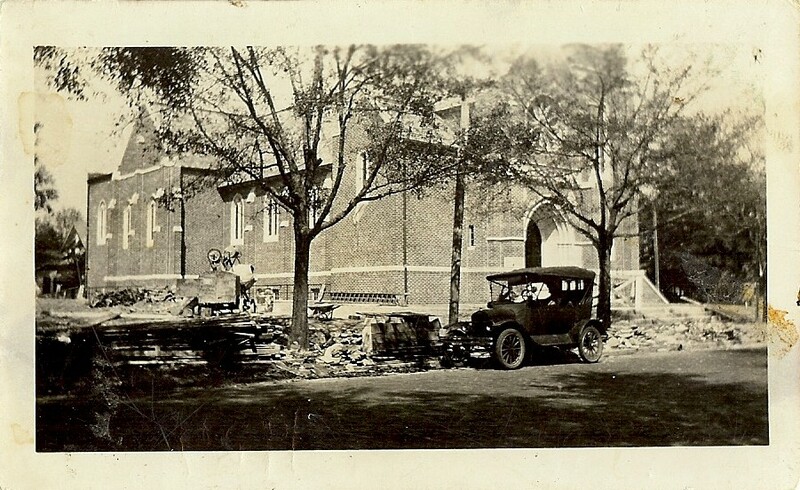 By 1921 they had built a small sanctuary on Hughey Street, where the Orlando Police Department is now headquartered, but that building was outgrown and sold in a very short time. 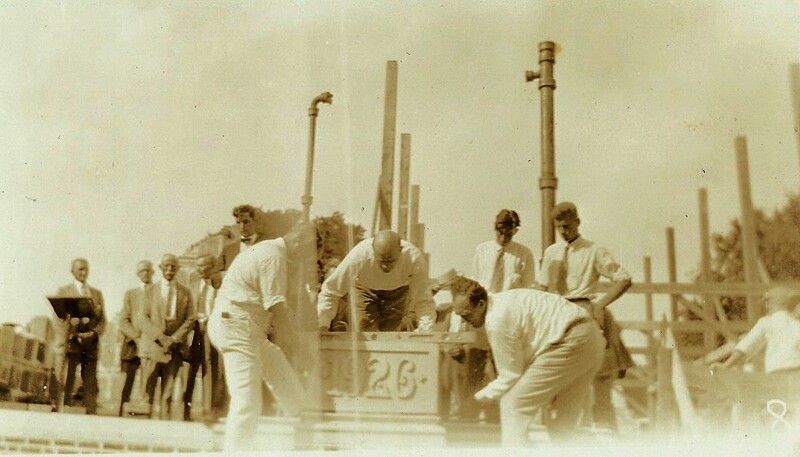 After renting space for worship for several years, Trinity’s current sanctuary was built in late 1926, and the congregation began worshiping here in 1927. Talk about timing! The great Florida Boom turned into the great Florida Bust in the late ‘20s, followed by the Great Depression, and many of Trinity’s members moved back to the Midwest. Those who remained struggled mightily to preserve their fellowship and sanctuary. By God’s grace Trinity weathered that storm, but remained a small group until the post-World War II expansion of Orlando brought many Lutherans to live and work here. 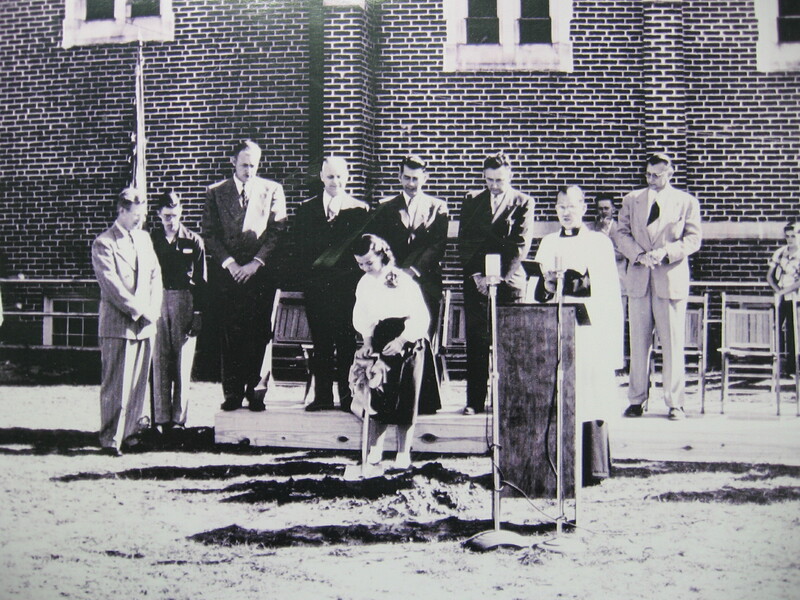 After the death of Pastor Trapp in 1946, Pastor Albert Besalski arrived and served during Trinity’s explosive growth during the ‘50s and early ‘60s. As Orlando grew, so did Trinity. Acquiring land to the west of the sanctuary in the late ‘40s, our school began in 1953 with Kindergarten and first grade, growing to sixth grade before 1960, and to eighth grade in the early ‘70s. With the acquisition of the little red house to the north of the sanctuary came expansion in the other direction, our Child Development Center serving younger children starting in 1983. When Pastor Besalski accepted a call to serve a church in Alabama in 1964, Pastor James Kunze, his assistant and a son of the congregation, served as senior pastor. A number of assistant and associate pastors, and a few vicars, served here during Pastor Besalski and Pastor Kunze’s tenures, including Pastors Ed Trinklein, Gerald Seaman, Milan Weerts, and Lloyd Goetz. In 1989 Pastor Ronald Fink arrived, serving here until 1999. He was assisted by Pastor Kunze until his death from cancer in 1994, followed by associate pastors Mark Joeckel and Scott Heitshusen. When Pastor Fink retired, Trinity was served during a three-year vacancy by Pastor Bill Reinhardt. Pastor Jeff Moore served Trinity as Senior Pastor from 2003 through December, 2014. Associate Pastor Jon van Sliedrecht served here 2004-2007, and Pastor Billy Brath served as Trinity’s Urban Missionary and Associate Pastor from 2009 through June 2015. Rev. Dr. Thomas R. Zehnder, Rev. Jim Martin and Rev. Larry Schaefer each served Trinity well as Interim Senior Pastors for select periods of time from January 2015 through September 2017 when a Call was issued to & accepted by Rev. Doug Kallesen. On October 1, 2017, Rev. Doug Kallesen was installed as Trinity’s Senior Pastor. Today Trinity Lutheran School cares for and educates nearly 400 children from six weeks old through eighth grade. The worshiping congregation averages about 300 people per weekend, with many opportunities for Christian witness and service in reaching out to downtown Orlando and the world. With 99 years of history behind us, Trinity is excited to begin a second century of sharing Jesus with those around us. Trinity’s 100th anniversary will be celebrated in May of 2019.